I’m having a lot of fun with my new club. We’ll be meeting again on November 6 to make another 2-page layout. My group chose to make a Halloween layout, which proved to be a challenge for me. I don’t have any Halloween stamp sets. 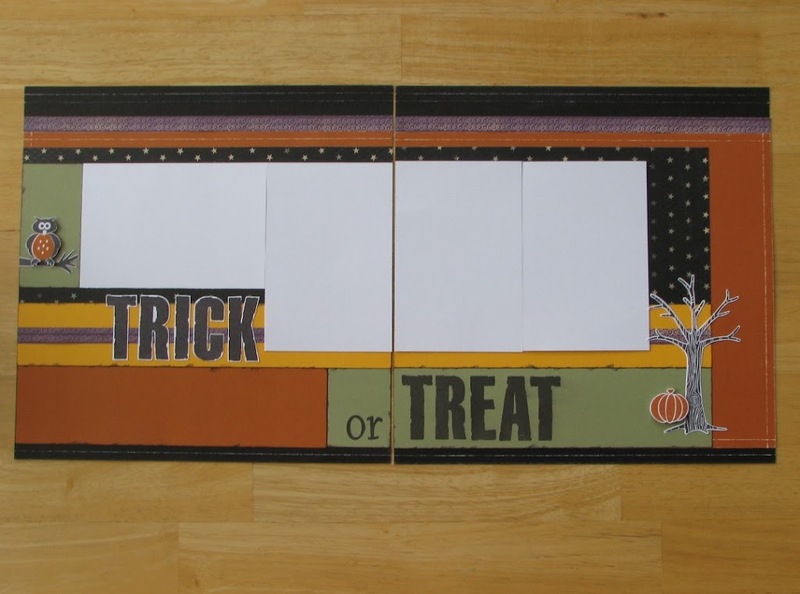 We, at CTMH, don’t have any Halloween-themed paper right now, either. So I went to my consultant sisters for help and using their fabulous suggestions, this is the layout I came up with. I went to past Workshop-on-the-Go brochures for some inspiration on the pattern. This one uses the Back Country one. The white daisy spots are for 4×6 photos. Since Halloween hasn’t come yet, I don’t have photos to put in their place and no journaling to write for the bottom left section, but I will do those before Club Night. Now that’ll be fast scrapbooking! A first for me; I’m usually at least a year behind. I will post this layout when it’s completed, with more detailed photos. In the meantime I still have to find a costume for Nathaniel and a few more pieces for Arianna’s Moe (from Veggie Tales, Larry the Cucumber dressed up as the Lone Ranger) costume. Great layout Krista!! May have to scraplift this one! I don’t have any of the Halloween stamp sets either – but I have all of the ones that you used!! What a great layout! Perfect colour combo for Halloween. Very cute! I may have to lift this one! !